The matter on leadership and genetics has been discussed and researched on for as long as the concept of leadership was created. Research efforts have been poured into exploring the link between the two. Are leaders born or made? This is going to sound cliché but until now, genetics is still considered a big factor in determining the formation of leaders. But not everyone thinks the same way. There could be some truth to it but factors such as experiences and social dynamics are also important in leadership. There is no single factor that will determine the person’s ability to lead. Each factor is important up to a certain extent. Some scientists feel strongly about genetic and biological factors and their link with leadership. The interest in the link between genetics and leadership are sparked by people from the same family that assume leadership positions in society. The Kennedys and the Bush family are two examples. More than genetics, science is also looking at biological and physical traits that leaders possess. There are studies that show how genetics contribute to the physiological and psychological functions of a person. These will eventually affect the person’s cognitive and behavioral traits, which determine if the person is fit for leadership. Hormones and chemical changes in the body affect a person’s cognitive functioning, a very important aspect of leadership. When it comes to leadership, it’s always a question about nature vs. nature. However, both are intertwined with each other and cannot be separated. Leadership cannot be discussed without considering both at the same time. Case in point would be chemical and hormonal changes in the body that will affect the disposition of the person. The disposition will affect the attitude and behavior, which are huge factors in leadership. An example would be a person that is suffering from a bipolar disorder. People with bipolar disorder tend to exhibit very drastic mood swings, easily switching from euphoria to depression. There are several causes of bipolar disorder, including neurotransmitters that are hereditary. Their bipolar tendencies will affect their personality, which will affect their leadership style. This is not to say that bipolar people are not capable leaders. In fact, the greatest leaders in the world were reportedly bipolar (e.g. Abraham Lincoln, Winston Churchill, and Napoleon Bonaparte). Their drastic mood swings, however, may have negative effects on their leadership and establishing trust with their followers. As said earlier, you cannot rule out the external factors (nurture) in leadership. The Kennedys may be a family of leaders but take note that the members are exposed to the same environment and values. They are exposed to almost the same group of people and circumstances. Even if genetics played a big part in their leadership streak, you cannot take away the fact that they thrive in a common environment. They were exposed to the same kind of experiences and brought up by the same set of people who share the same values as well. They are also bound to develop similar opinions on important issues and perhaps, develop the same leadership style. There are certain environments that are conducive for molding leaders. The environment plays a huge role in shaping the ideals, opinions, and values of a person. If young children are brought up by parents that promote pro-social behavior, the children will grow up overcoming unreasonable aggression and form healthy relationships with their peers. Role models account a lot for the formation of leadership traits in a person. When a child is surrounded by people with strong leadership attributes, the child will most likely imbibe these attributes as well. Likewise, children surrounded with aggressive role models will most likely turn out to be aggressive. Aggression and social skills are very important in leadership because to be an effective leader, the individual must be adept in dealing with people. Leaders have to establish rapport with their colleagues and subordinates. In general, many leadership attributes are shaped by external factors. Even if there are claims that leadership qualities are inherent in a person, the fact remains that a person will continue to develop for as long as he or she is alive. Some traits will be more developed by others. The attitude and personality of the person will be influenced by the people around him or her. Other environmental factors that affect the person (e.g. political atmosphere, economic conditions, life-changing events) will also determine the set of leadership traits he or she will possess. Such are the formative experiences that can possibly produce a leader. Related to the formative experiences are the social dynamics that the person is subject to. For instance, a certain female may have good social-skills and strong conviction but her leadership qualities may not shine to its full potential if she is in a society where males are always considered the alpha figure. She may have the leadership potential but if she thinks that males are always the rightful leader, she will not be able to exhibit her leadership qualities to their fullest. The position in the family is also an example of the impact of social dynamics on leadership. Many first-borns are usually molded to become leaders, although not all turn out to be good leaders. Social dynamics are huge factors to a certain extent, similar to genetics and formative experiences. All three contribute to the development of a leader. Some people may or may not have inherent leadership qualities but experiences and relationships in life will affect the attitude of the person. Leadership qualities may be enhanced along the way. One’s growth and development is certainly crucial in determining of the person is fit to be a good leader. Leadership styles vary but surely, there should be common qualities that are common among great leaders. The attributes will gauge if the leader is doing a good job in serving his or her purpose. Good leaders make a good first impression not because of their skills and achievements. Although these are important, these aren’t the first things that their people notice. People are drawn to leaders that are oozing with charisma. Charisma is a very attractive and inspiring trait that many great leaders possess. Identifying charisma is not easy because it cannot be articulated instantly. Charisma is a combination of many things – the way a person stands, moves, speaks, etc. Charismatic leaders have a vision (which will be discussed later) and the ability to articulate this vision. They should also have the ability to communicate with as many people as possible in an emotional level. Charismatic leaders make other people feel that they are able to relate with their plight, something that’s not very easy to do. Some people think that charisma is something that cannot be learned. For them, it is an inherent trait in every person. You either have it or you don’t. But modern thinkers beg to disagree with this mindset. They think that people can eventually learn to be charismatic, starting with being courteous, polite, and respectful. The point is to be “likeable” and “relatable” to other people. Charismatic leaders make other people feel that they are able to not only understand their situation, but also relate to it as well. Not all have this ability but some are able to build charisma through age and time. Leadership requires good people skills and sensitivity to others’ needs, also building blocks of charisma. After all, leadership would not exist if there are no people to lead. People skills are built on the small things that people don’t forget. For example, they appreciate it when new acquaintances remember their names even if they’ve only met a few times. Charisma can eventually be developed, as long as the person remembers to make other people feel comfortable and important. Leadership starts with a focus and vision. Leaders are not required to be all-knowing individuals but they should completely know the purpose and vision of the organization they are spearheading. It is only by having a focus that a solid commitment and responsibility can be formed. Also, a leader must have the competence required in his or her field. Again, he or she need not to be all-knowing but sufficient knowledge in the field is required to make sound judgment calls. No leader can withstand the challenges of leadership without courage and strength in character. Of all the members in the organization, individuals holding leadership responsibilities cannot be swayed by just anything and anyone. The leader must remember the purpose and vision of the leadership in any decision-making process. The leader must have enough courage to stand up to anything or anyone that threatens to undermine that vision. Good leaders are also assertive in getting the job done and upholding the organization’s vision. He or she must be assertive enough to get people to fulfill their duties. Good leaders should always arm themselves with creativity and resourcefulness because some situations will require them to think outside the box. Not all problems can be solved by textbook formulas and tried-and-tested solutions. They must have enough courage to veer away from the conventional in order to find better ways of doing things. Finally, a good leader should have loads of passion and a sense of servitude. Leadership is no easy feat and if a leader attempts to fulfill his or her duties devoid of any passion, he or she might not endure the challenges. Leadership is a rollercoaster experience and without passion, the leader might find it difficult to accept the difficulties. As for the sense of servitude, leaders cannot lead if they do not know what it is like to serve. Besides, the leader’s purpose is to serve the organization and not just to order people around. 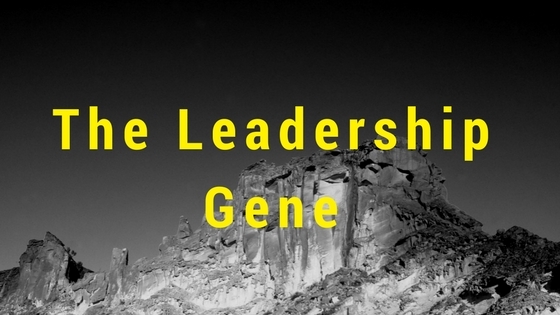 We hope guys you find our article "The Leadership Gene" by Mr Great Inspiration useful.